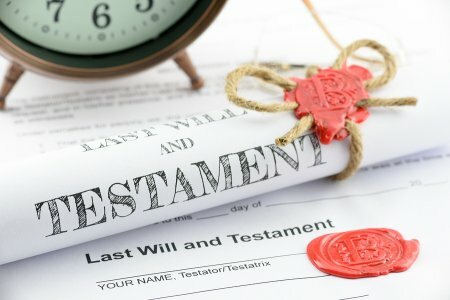 Should I Agree to Be an Executor? Executors of wills are generally selected because of their ability to work with numbers, handle complex paperwork, and pay attention to little details. It can be flattering to be asked to be an executor, but don’t give your answer right away. Consider talking to an estate planning attorney near Tracy or Manteca about your responsibilities as an executor before you make a decision. If you do agree, you could ask the testator to select an alternate executor in the event that you no longer feel capable of carrying out your duties when the time comes. Evaluate your abilities and limitations. Critically examine whether your abilities would make you well-suited to carrying out the responsibilities of being an executor of the will. It isn’t necessary for competent executors to have a background in finance or law. You always have the option of hiring an accountant, and it’s a smart move to hire an estate planning attorney to guide you through the probate process. However, you should at least be comfortable working with numbers. Know that probate can be quick and easy or lengthy and arduous, depending on the deceased’s estate and the beneficiaries. Consider whether you would have time to take on these tasks, and whether you’re willing to commit to using your time this way. Consider your relationship with the individual. Contrary to popular belief, spouses do not always make the best executors. After the death of their loved one, a bereaved spouse must cope with grief and all of the challenges that go with it—such as cloudy thinking and poor concentration. Think about suggesting an alternative executor or recommend that your spouse chooses a paid, professional executor. Assess the size of the estate. Of course, there’s no way to predict what the individual’s estate will be like once that person dies. But you can ask some general questions to get a sense of how complicated and large it might be. Complicated estates may be better left to a professional executor.